Something is amiss on Amanda Greene’s college campus in this fantastical novel wherein enlightenment lies just beyond immediate grasp. 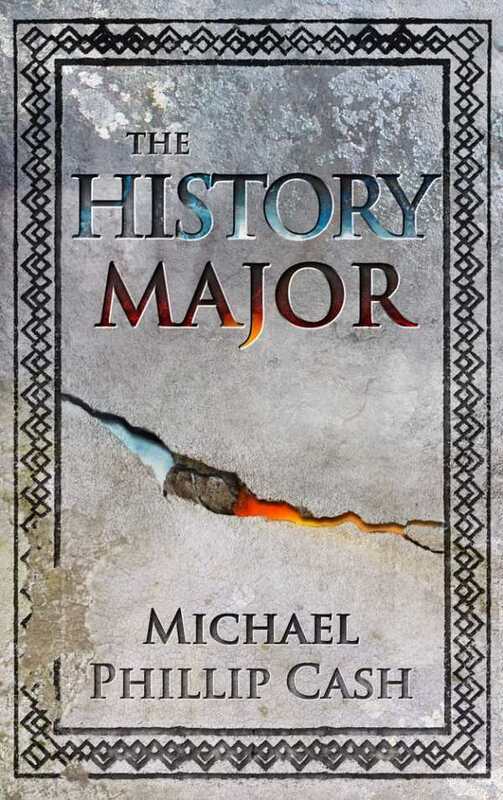 Concise but not hurried or thoughtless, The History Major, a novella from Michael Phillip Cash, packs a powerful punch. The first day of school has never wreaked such havoc, as sinners and saints sit side by side and a troubled student studies the past in an effort to understand the present and embrace the future. Even hungover and confused, college freshman Amanda Greene realizes that something is not quite right as she sits next to Nick, hauntingly familiar in his ripped jeans and motorcycle jacket, in a class that she doesn’t want to take, yet can’t seem to drop—the dreaded, all-consuming History 101. She is desperate to recall the details of the previous night, and is certain only that it involved excessive drinking and an exchange of hurtful words with her boyfriend, Patrick. Meanwhile, shadows and monsters appear to stalk her across the suddenly menacing campus. The effects of Amanda’s childhood on her life at present become apparent in a surprisingly emotional journey as she attempts to make sense of her suddenly unfamiliar and uncomfortable circumstances. Pop culture references and shallow mean-girl musings quickly give way to more substantial psychological motives that explain Amanda’s verbal fight with Patrick. The rationale behind hanging posters of Nicki Minaj and Drake take a back seat to the hurt that Amanda carries around inside, and her sunny thoughts of walking the campus hand in hand with her boyfriend are replaced with the desperate need to escape the prison of one emotionally draining history class. Once the unraveling begins, it is a fast but steady reveal, all from Amanda’s point of view. Easily consumed in one sitting, the shorter novella form is rewarding in its clear answers to almost every mystery posed, as the pages basically turn themselves to end the suspense, even as Amanda’s transformation takes several unexpected turns. The narrative is interspersed with fascinating glimpses into the tragic lives of the sainted Jeanne d’Arc and the notoriously wicked Lucrezia Borgia, among others; history, as the title indicates, plays a large part in Amanda’s road to self-discovery. As Nick cryptically comments, “People are trapped in history, and history is trapped in them.” Certainly things are not always as they seem as Amanda’s own secrets come to light alongside fascinating and insightful snippets from centuries past. Themes of bullying and acceptance are filtered in next to hints of heaven and hell, guilt and atonement—all interwoven with a bit of Catholic philosophy and supposition. However, the possibilities presented in The History Major, combined with the subsequent author’s note and questions, are relevant for everyone, regardless of religious affiliation; Cash doesn’t shy away from difficult truths and facing the unknown. Amanda’s memories, coaxed from Nick and bludgeoned by the unconventional and forceful professor, hold the key to escaping the nightmare that stalks her outside the auditorium. Students of history and philosophy, whether in the dorms, the halls of academia, or the café down the street, will appreciate the controversial nature of The History Major. Michael Phillip Cash has created a fantastical fiction to explain hard realities, all over the course of a day in the life of Amanda Greene.